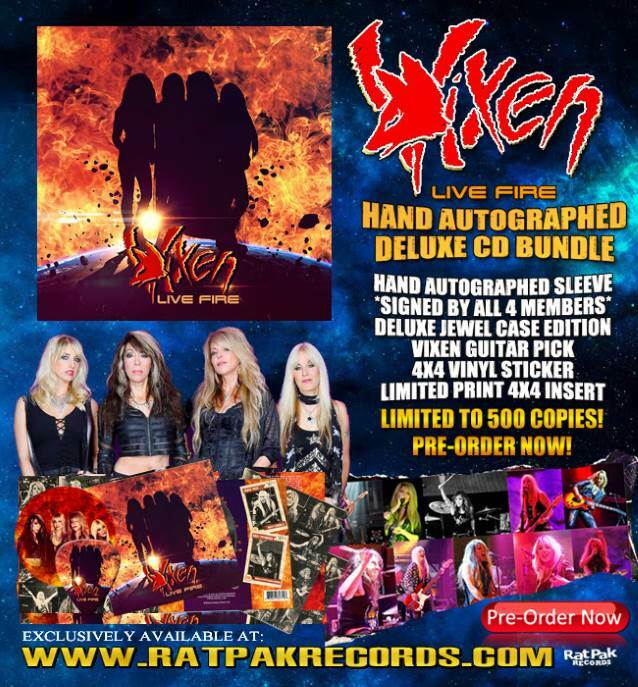 VIXEN will release "Live Fire" on July 6 via Rat Pak Records. 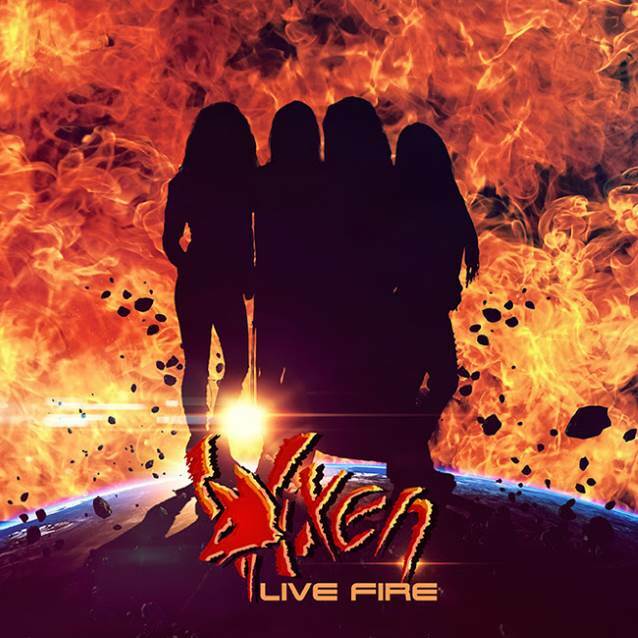 Mixed by Michael Wagener, "Live Fire" features 12 live tracks and was recorded at Chicago’s legendary Arcada Theater during the group’s successful 2017 tour. In addition to the classic VIXEN songs, the effort also includes a newly recorded studio version of "You Ought to Know By Now", an all-new studio acoustic version of the hit song "Edge Of A Broken Heart", which can be streamed below, and a live version of a previously unreleased track called "Big Brother". 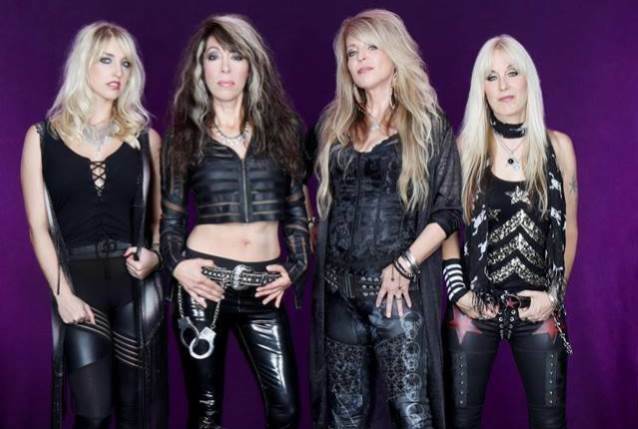 Regarding "You Ought to Know by Now", vocalist Janet Gardner says: "It gives you a taste of the classic VIXEN days with a revitalized energy and passion!" Bassist Share Ross adds: "This song is the ultimate connection between our history with Jan and our future!" Speaking of the live material, drummer Roxy Petrucci comments: "It’s really cool to see so many old and new fans enjoying these classic songs as we perform them live, so it only made sense to release this live album!" Guitarist Britt Lightning adds: "This album really captures all the spontaneity and energy of the band’s live performance." "Live Fire" is available in various formats and bundle configurations, including a limited white vinyl pressing with an alternate track sequence and also an Ultimate Fan Bundle that includes a personal "thank-you" phone call from Janet Gardner, exclusively available at https://ift.tt/2x27BYy.